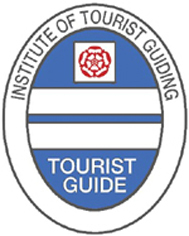 Private Guided Tours of London with Blue Badge Tourist Guides. There is such a lot to see in Great Britain, from cathedrals to royal palaces, from tiny villages to great cities, and there is no better way to see it than in the company of a private tour guide with a car. 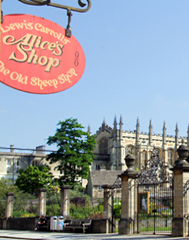 As a visitor to Britain you will want to see some of the famous landmarks and sights ... The Tower of London, Stratford-upon-Avon, Stonehenge, Edinburgh Castle, the Lake District etc. ... explore the countryside and experience the culture of its people. Your personal guide will have a private car and will take you on your own, customised tour, wherever you want to go throughout the country. 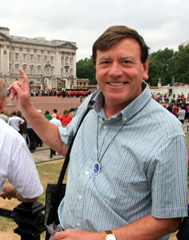 The DGA has members throughout Britain. or let the booking office do that for you. Indicative prices for some standard tour combinations. Click on an area of the map. Or click here for a full list of suggestons.